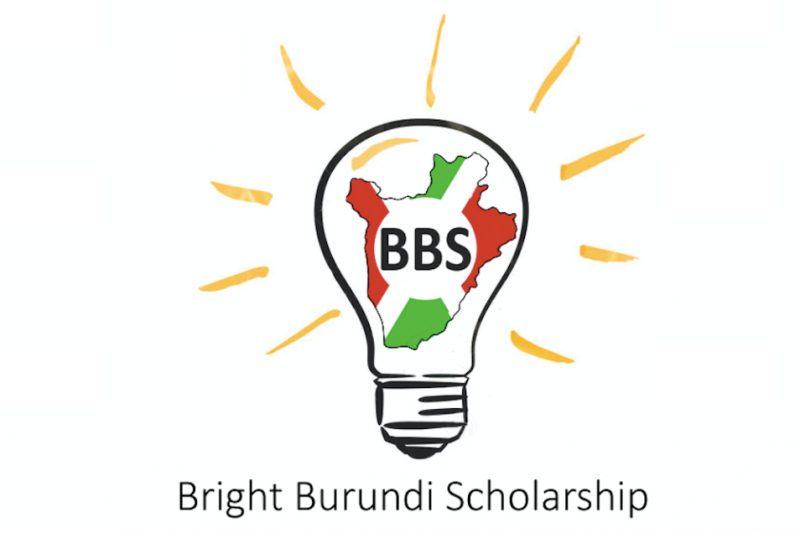 BBS stands for the Bright Burundi Scholarship. 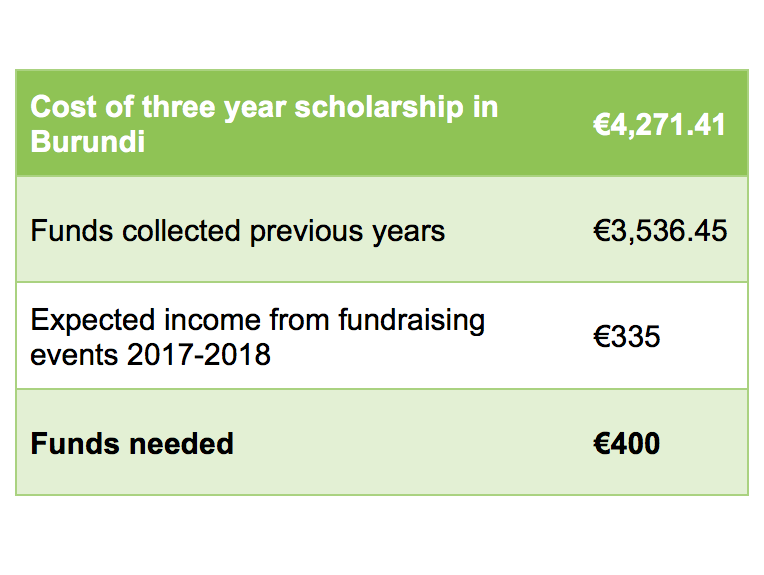 This is a two-folded project that aims at 1) providing university scholarships to students in Burundi and 2) empowering Burundian students to create social change in their society or local community. Back in 2014 the founder of BBS, Fabian, spent six months in Burundi to complete an internship with UNESCO. During his stay, his Burundian friends repeatedly asked for support in finding scholarships for university education. It turned out that there exist no scholarship programs aimed at Burundian students. And only 1% of Burundian youth continue their education after high school. Motivated to change this situation, Fabian got in touch with the German NGO e.V. Burundikids, and together they discussed the plans to set up the Bright Burundi Scholarships, which can become reality with your help! BBS is a full academic scholarship to Burundian students for the duration of their first academic degree in Burundi (B.A. or equivalent). The estimated costs are only around 4,500€ - a sum we need to fundraise as fast as possible! It is our aim to send the first BBS student to university in September 2018. Will you help us reach this goal? The scholarship will cover tuition fees, learning materials, health insurance, accomadation and daily living costs (e.g. food and clothes). Together with our partners, we have developed a detailed budget to ensure that all the scholar's costs will be covered doing the studies. How do we choose the scholar? The main criteria to be selected for the BBS is the scholar's needs, the scholar’s motivation to be an active change agent and the scholar’s academic competencies. Our scholars will work on a concrete social project, which will be realized during or after their university degree. For this purpose, additional short-term and need-based support will be provided and long-term dependencies will be eliminated. We are working with our two partners with practical experience in Burundi to help us in the implementation of the project. Simona from Italy, Master’s in International Public Management: "We want to see a world in which the vulnerable youth has the skills, the opportunity and the support to build his own machine of development. 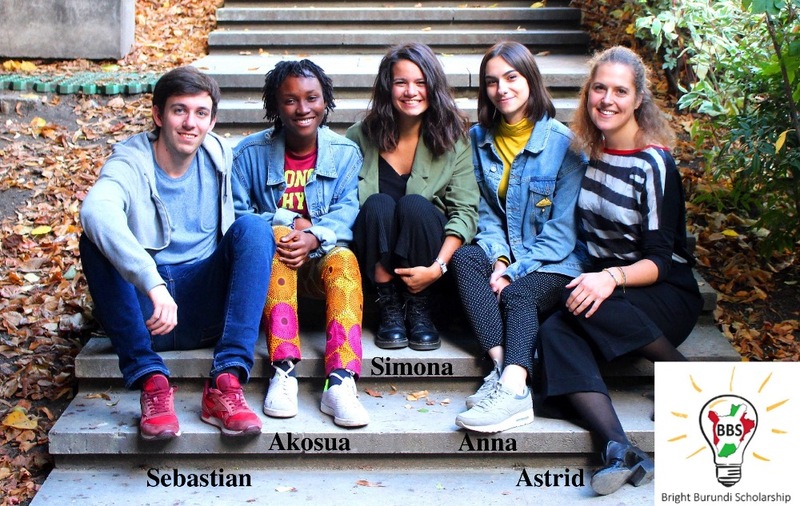 Young people are fundamental motors of change and a single scholarship can be the the first step to make the machine work, the change to begin." BBS is run with the support of our two partners: burundikids e.V. in Germany and Fondation Stamm in Burundi. Our partners have years of experience with educational projects in Burundi and they support the BBS team in every aspect. Read more about the project here and like us on Facebook to follow our work!